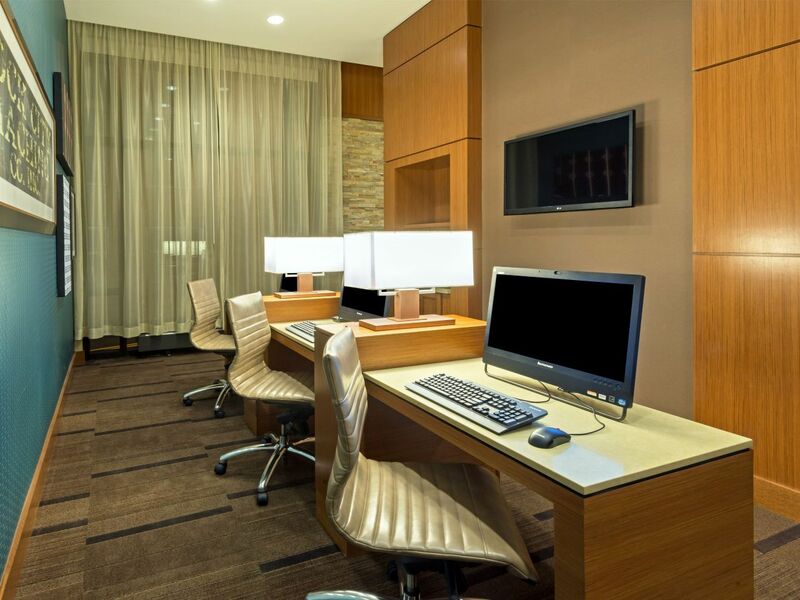 We offer the Nashville vibe at the Hyatt value. 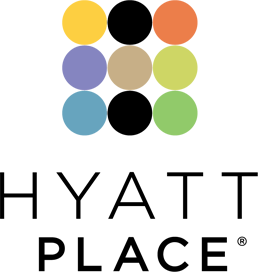 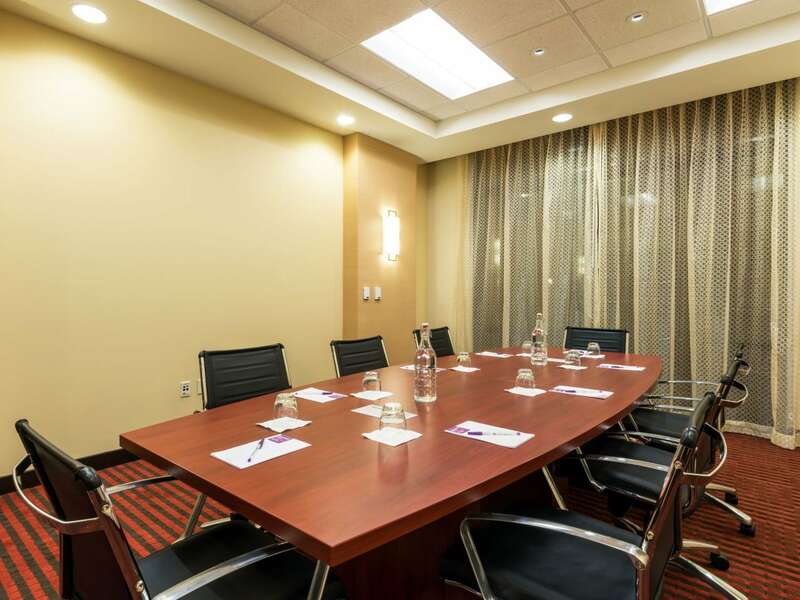 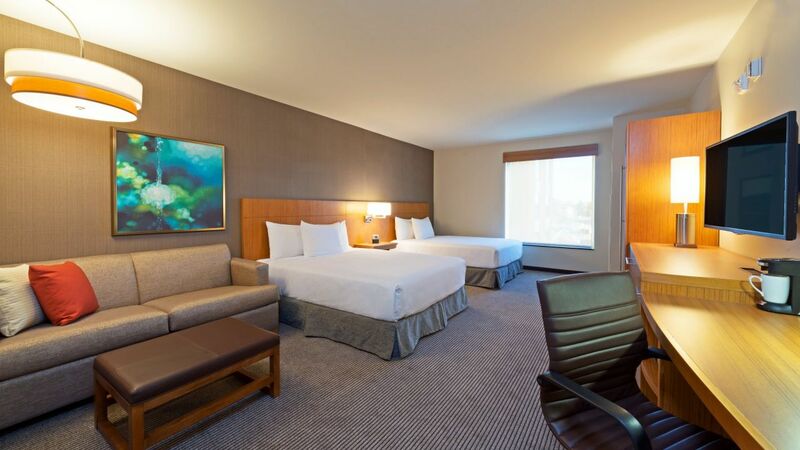 We’re one block from the Music City Center Convention Center, three blocks from Bridgestone Arena, and within walking distance to Nashville’s famous Honky Tonk Row and Nissan Stadium. 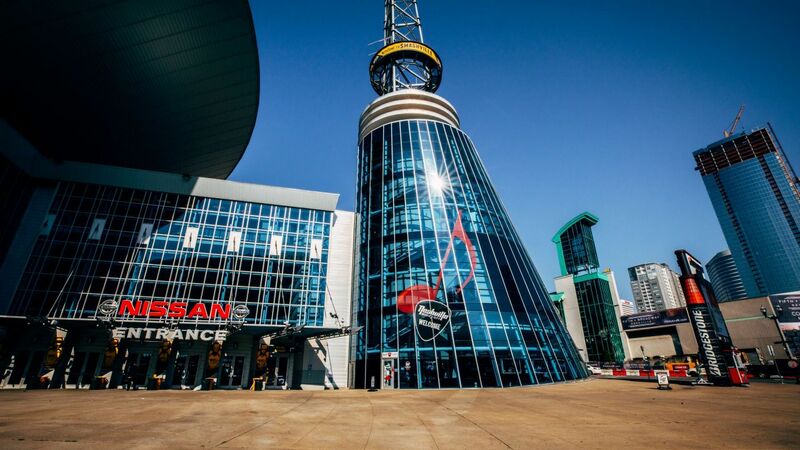 What to eat, drink, see, and do in Nashville. 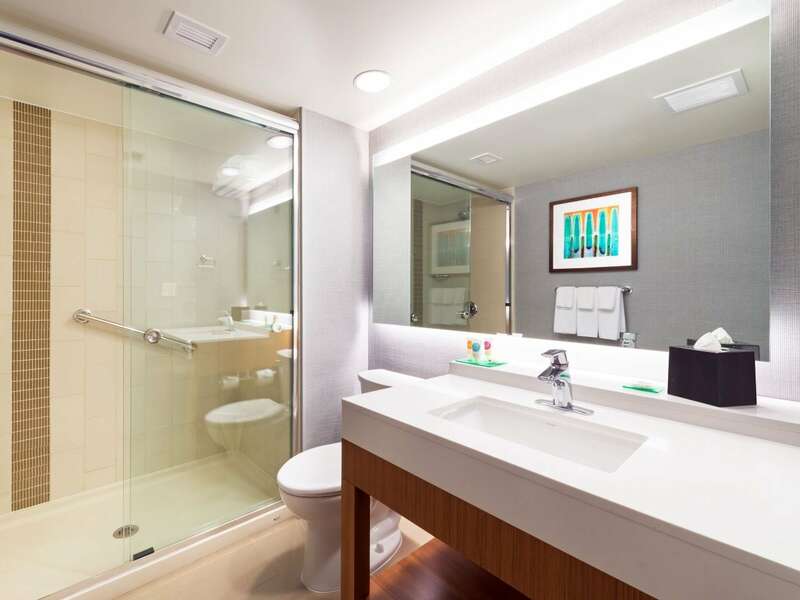 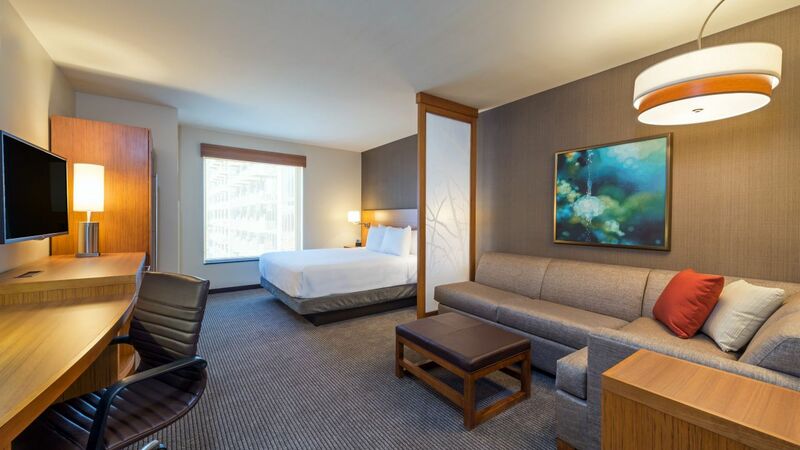 Our downtown Nashville hotel rooms are 20% larger than the average room and feature separate sleeping and living areas. 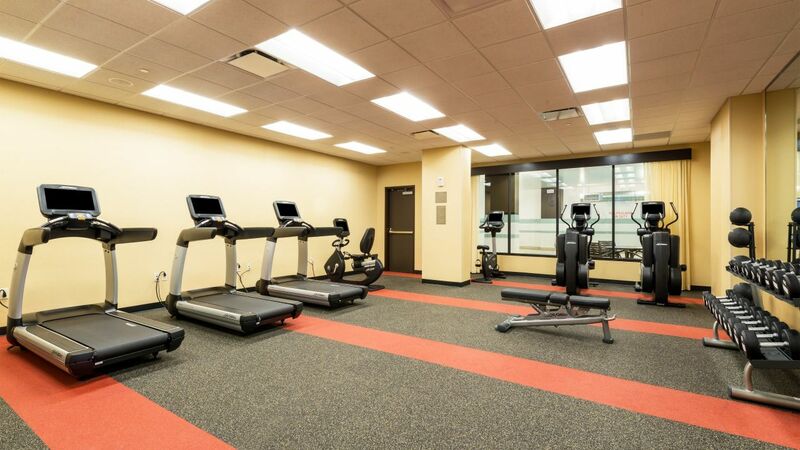 Squeeze in a workout at our complimentary 24-hour Stay Fit® fitness center with Life Fitness® cardio equipment. 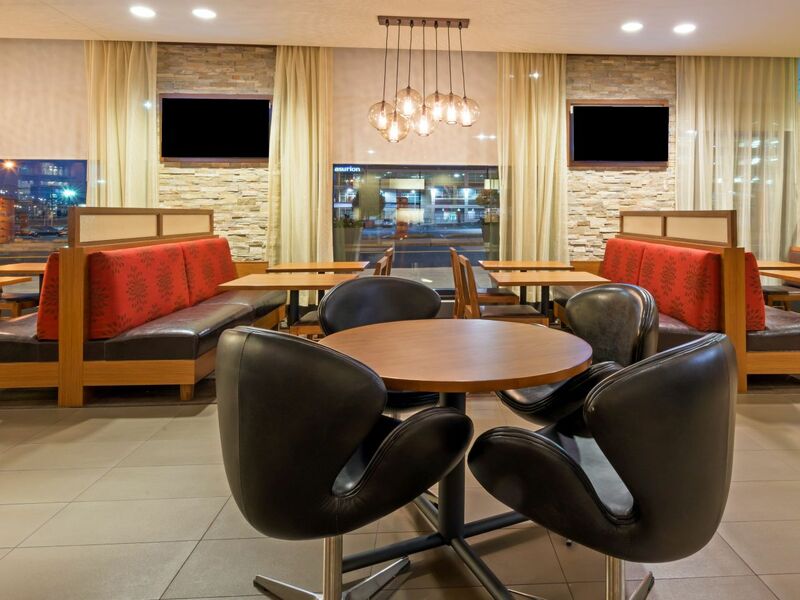 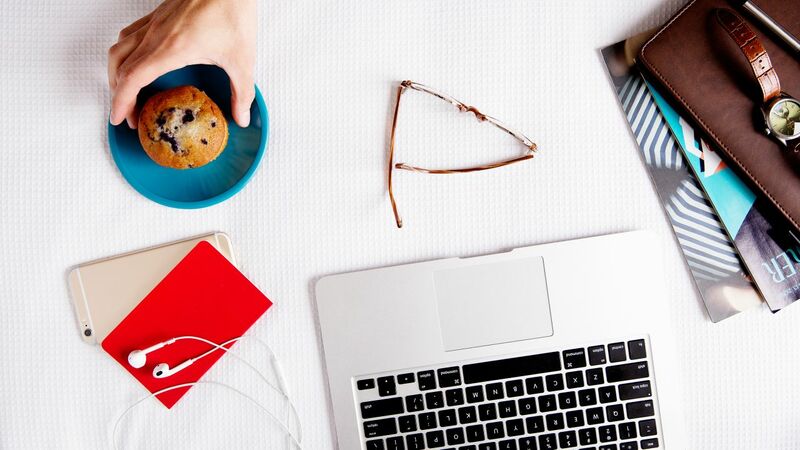 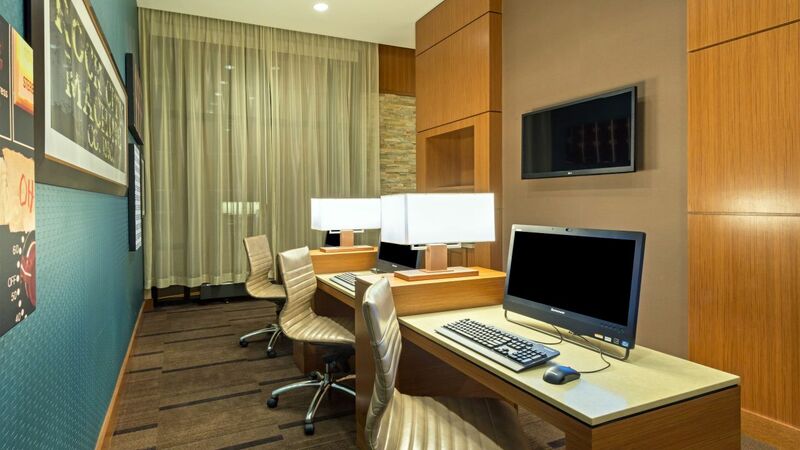 Stay productive on the go in our business center. 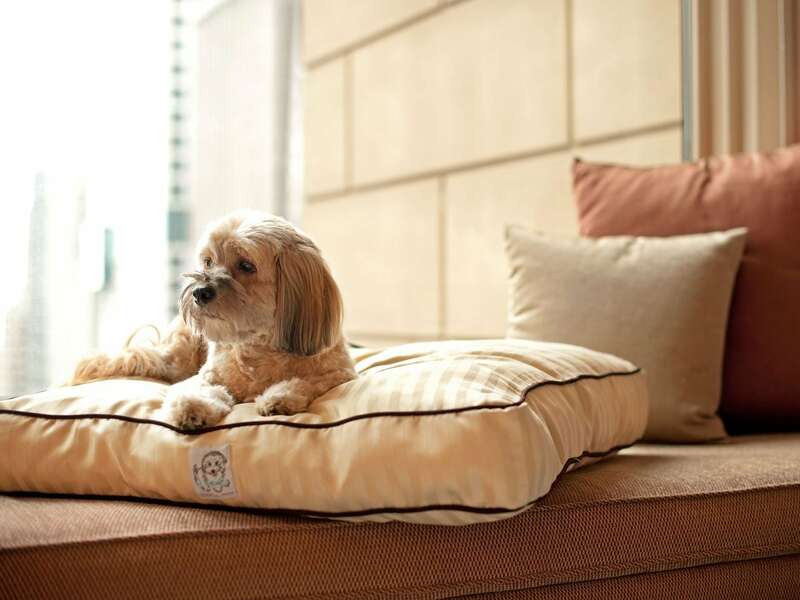 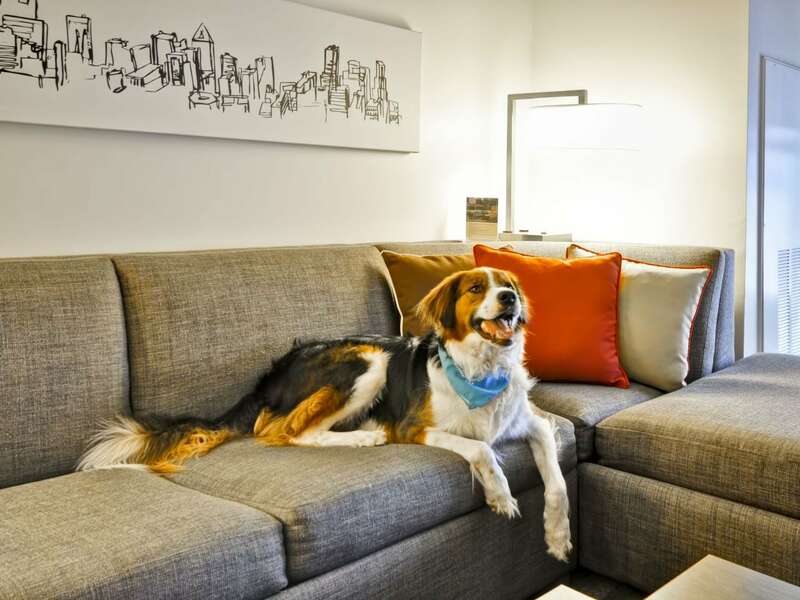 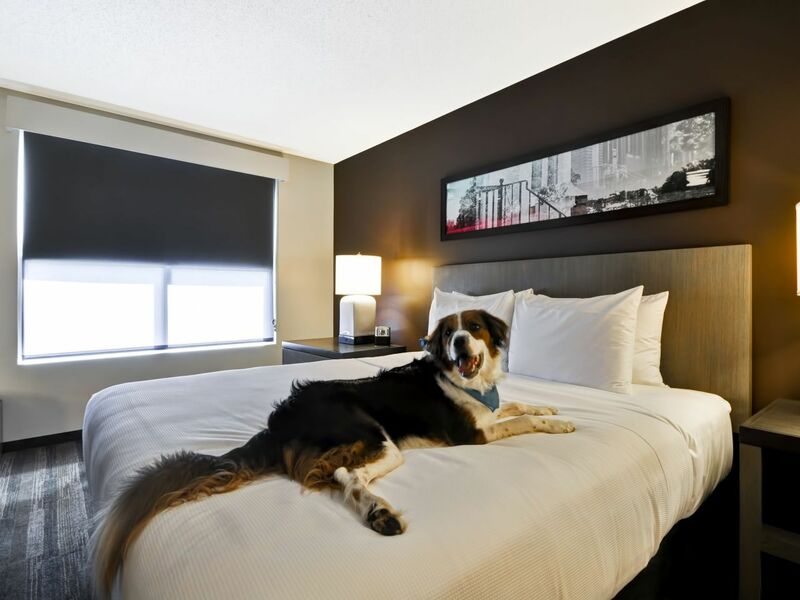 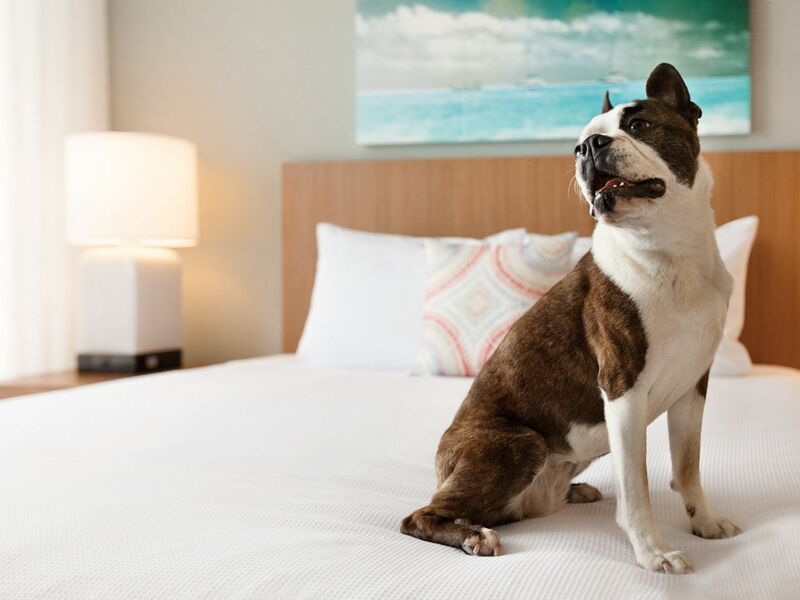 We welcome you and your furry friend to our pet-friendly hotel in Nashville! 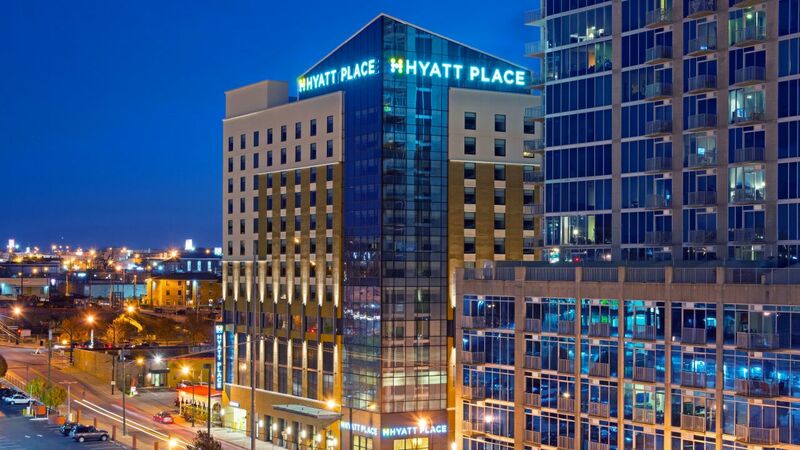 Totally enjoyed the feel of Hyatt Place in Nashville. 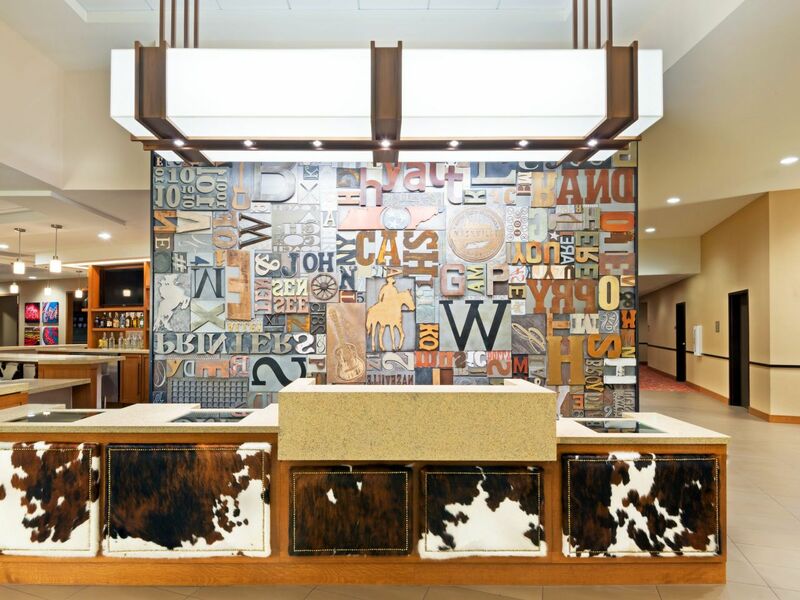 Rustically decorated lobby area with sliding barn doors and vintage printer letters decorating the check in area. 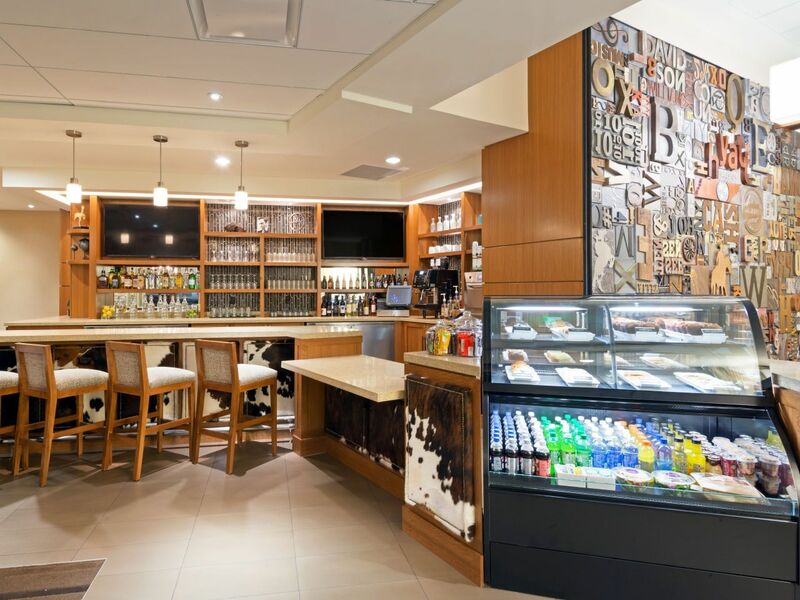 The breakfast each morning was different and delicious-with many options for all likes!! 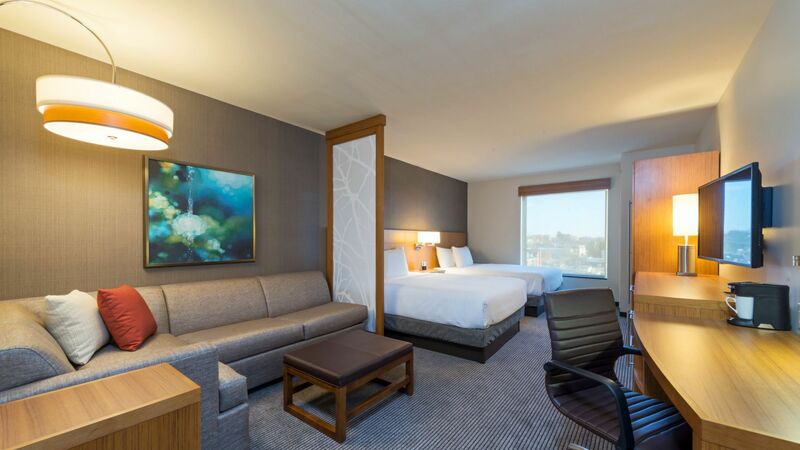 What else is happening at Hyatt Place Nashville Downtown?